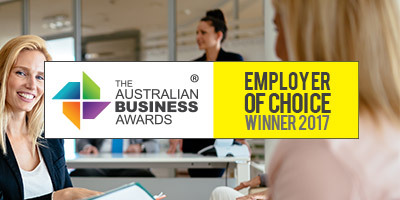 JCurve Solutions Limited has been recognised as an Employer of Choice in The Australian Business Awards 2017. “At JCurve Solutions (JCS) we attribute the great success we are achieving to our investment in people, culture, values and customers. JCS has become known for its awesome culture, energetic team and delivering results. We’ve invested to create the foundations for people to do their best work; together.